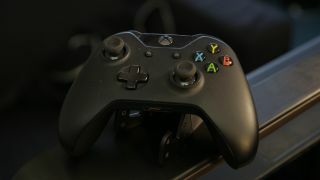 While many console addicts dream of being able to use a mouse and keyboard with their favorite big-screen shooter – pulling off responsive flick 180-degree turns, which could be a reality for Xbox owners soon – apparently there are plenty of PC gamers who eschew the peripherals sat right in front of them for a gamepad. According to some new stats based on Steam users, since 2015, when Valve first allowed folks to fully customize and remap gamepad controls for any particular title (and also to share the results among the community), no less than 30 million players have registered a console controller or some form of pad (and around half of them have multiple controllers). In the overview of controller ownership on Steam, the Xbox is unsurprisingly dominant (given the close ties between Microsoft’s PC and console ecosystems), with 45% of gamers using an Xbox 360 controller. That represents 27.2 million folks. The PS4 actually edges out the Xbox One with 12.2 million gamers (20%) versus 11.5 million (19%) respectively. When combined, however, Xbox controllers represent 64% of all gamepad-owning players, which is very nearly two-thirds of the total number. The PS3 is lagging behind on 4.1 million gamers (7%). As for the remaining 4.9 million (8%), they're using ‘other’ controllers, the majority of which are the Steam Controller itself (just over 1.5 million) and generic PC gamepads of one form or another (1.47 million). Interestingly, the next most popular peripheral in the ‘other’ category is the Nintendo Switch Pro Controller, with 458,000 users – and no less than 229,000 people have played games using a Rock Band instrument. Valve also looked at current rather than historic statistics, observing the number of these controllers which were still being actively used in the last month. The result was again tipped well in favor of Xbox controllers, with almost 20% using an Xbox One gamepad compared to 9% for the PS4. Interestingly, for current usage, in second place behind the Xbox One gamepad was pretty much a dead heat (at around 13%) between the Xbox 360, Steam Controller, and Nintendo Switch Pro. Valve also boasted that it supports over 200 controller models on Steam now, and future updates will add further gamepads, naturally.